A reliable level control system that does not fail is paramount. Sensors that do not foul or corrode over time are also a requirement. You may also need a system that can connect to your Fire Protection Panel or Building Automation System. 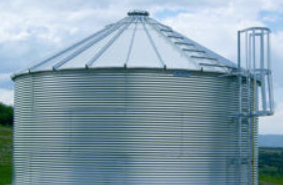 Water Storage Tanks are an integral part of fire protection systems and the use of an above ground water storage tank that is correctly sized for the application could make the difference in an emergency situation and may be required by local fire code as a secondary on-site water supply for automatic fire sprinkler systems also known as a break tank. 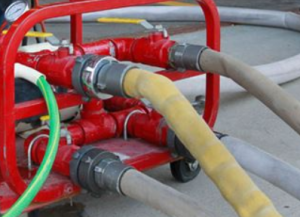 A break tank is a water tank providing suction to a fire pump, but the tank’s capacity or size is less than that required by the fire protection systems served. * See written specification for more details. * Contact the factory for Custom Sensor requirements. 1. The 3″ PVC Pipe needs to be at least 2″ longer than the longest Sensor tip. clamp so it rests on the Custom Fitting.